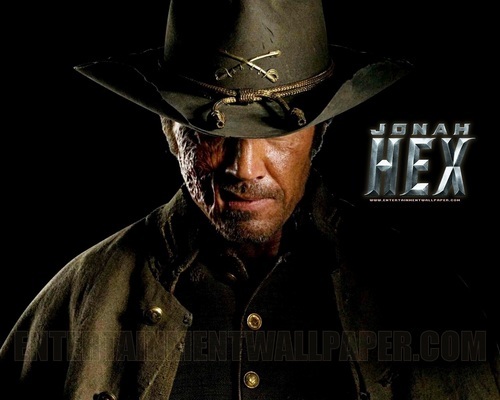 Jonah Hex. . HD Wallpaper and background images in the Action Films club tagged: action movies wallpapers official 2010 jonah hex. This Action Films wallpaper contains tirar chapéu de aba, chapéu da borda do snap, chapéu de aba snap, chapéu de campanha, chapéu da campanha, fedora, chapéu de feltro, homburg, stetson, mole, trilby, and feltro. There might also be chapéu de pith, capacete de cortiça, capacete sol, topee, topi, pith, capacete, sol, pith chapéu, capacete de sol, and quê.